Winona LaDuke has been at the forefront of recent water protector initiatives on tribal lands. She is a courageous advocate for re-imagining and re-building systems that can steward the natural commons—earth, air, fire (the minerals), and water—for future generations, while also honoring the cultures and humanity of the peoples on the land. Her work with Honor the Earth and the White Earth Land Recovery Project has integrity and urgency, and serves as an important model for all of us today. We have this prophecy called the time of “The Seventh Fire,” in which time we’re told that we will have a choice between two paths. One path, they say, is well worn, but it’s scorched. The other path, they say, is not well worn and it’s green. It’s our choice upon which path to embark. 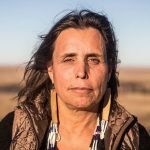 On Saturday, November 4th, Winona LaDuke will deliver the keynote address at the 37th Annual E. F. Schumacher Lectures, which will take place at the historic Mahaiwe Theater in downtown Great Barrington, Massachusetts from 1 PM to 5 PM. Winona’s address will be followed by a panel of young people doing work across the country to reclaim ownership of community resources in order to build stronger local economies and ecologies—those who have chosen the Green Path. This panel will be led by Nwamaka Agbo, who brings over ten years of experience in economic development and social and economic justice organizing. She is a frequent speaker both in her home Bay area and on the national stage. We are pleased to welcome both Brooke Lehman and Kate Poole to the board of directors of the Schumacher Center for a New Economics. Brooke Lehman is a co-founder of the Watershed Center, located on a farm in Columbia County, NY, not far from the Schumacher Center. 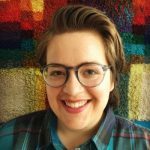 She is a life-long activist with 15 years of experience in teaching and program design focused on radical politics, strategic visioning, direct democracy, climate justice, alternatives to capitalism, organizational development, and radical pedagogy. 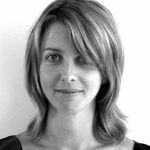 Kate Poole is a founder of Regenerative Finance, a collective of young persons with inherited wealth who are working to divest from socially and ecologically harmful investments, instead making 0% interest loans that meet new economy criteria. Kate is a contributor to Michael Shuman’s popular book Local Dollars, Local Sense, a member of Judy Wicks’ Circle of Aunts and Uncles—a Philly-based lending circle—and a speaker at local economy events. 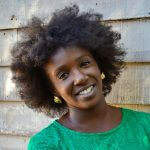 Wonderfully creative, she has also channeled her talents into drawing comics for the new economy. At the end of August after five years on staff at the Schumacher Center, Alice Maggio is leaving to pursue a graduate degree in Urban and Environmental Policy and Planning from Tufts University. She began as an intern and then quickly took on more responsibilities to become Local Currencies Program Director and more recently our highly valued Director of Programs. OK, we admit it, there are tears in all of our eyes. At the same time, baskets full of good wishes will accompany this talented young woman as she pursues the next step in her training to be a leader in the new economy field. Though we cannot “replace” Alice, we are looking for a new staff person to fill out our team. The job description can be reviewed on our website. Please circulate to qualified potential candidates. 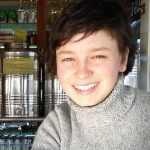 You can send appreciations and congratulations to Alice at alicemaggio@centerforneweconomics.org.